LOS ANGELES, CA--(Marketwired - July 14, 2016) - In a recent interview with Norwegian reporter Kjersti Flaa the two funny ladies got serious when the conversation turned into misconceptions people have about fame and celebrities. "I think when you are in the public eye people assume that you are one hundred percent public," says Wiig. "I think there are times you are allowed to have a private life. People say, well you know when you get into this business that´s the price you pay, but I totally disagree with that. It's your job. It's what you do when you show up on set. ­I am not a jerk because I want to have dinner with my family, and I don't want to engage, you know. Of course there is a time and place for all of that, and I am very grateful when people want to say hello or something." Wiig thinks social media also plays a big part in how things have changed for celebrities. "I think there is a misconception because of social media, and people being so public and open, that it's become weird when you aren't. I am not on social media and people think that's weird. I am just not open that way. I am just not." She laughs: "And also people do assume that it's all diamonds… and laying around in money." "And we have caviar swimming pools which I just got out of," McCarthy adds. "You see all these stories in the crazy magazines and none of them are true." McCarthy points out how it can be hard to protect her own children sometimes. "I don't think you should be allowed to stalk my children. I think I am pretty reasonable for saying that a grown man or a woman, it's usually a man that I see, laying in the bushes, frightening my children and screaming at them, I think that should not be ok. I don't care what my job is… it's nothing that makes that ok. So when you see those magazines, just know that those pictures come hard." "I think that we have to remember to treat people kindly and treat children respectfully," McCarthy says. 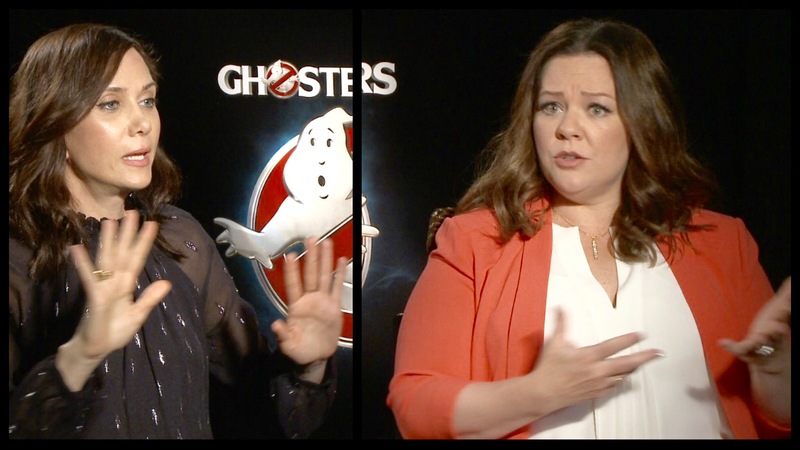 "Ghostbusters" premieres on July 15th. Kristen Wiig and Melissa McCarthy discuss the lack of privacy after social media.